One of the greatest challenges facing the Jewish community is how to engage young adults during the long stretch of life between college and parenthood. Jewish young adults want to be involved with Jewish life, but to date the community’s response has been limited, uncoordinated and lacking in clear vision. Examination of the experiences of alumni of the Taglit-Birthright Israel program offers us a window onto this problem and suggests possible ways forward. This past February, over 40,000 young adult Jews registered for a chance to tour Israel with Birthright. For many of the more than 200,000 individuals who have already participated in Birthright, the 10-day trip was a watershed event that strengthened their Jewish identity and their connection to Israel and the Jewish people. Tens of thousands of program alumni live in the largest North American Jewish communities. Many are turned on but have no idea where to turn next. In a just-completed study of Birthright alumni in four large North American Jewish communities, we found that most were still behaving as tourists in the Jewish communal world. They briefly sightsee at programs designed for young adults but struggle with how to translate their newly stirred feelings of Jewishness into meaningful and sustained connections to Jewish life and community. It is clear from their experience that Jewish communities need a vision and a strategy for engaging young adults. The challenge is not unique to the Jewish community. In the urban and highly educated middle class, marriage and family formation increasingly occur later in life. Young adult years are devoted to graduate study and career development, and rarely include participation in religious congregations or communal organizations. Similarly, the Birthright alumni we interviewed are not yet ready to take on the responsibilities of full-fledged citizenship in their Jewish communities. They will not join synagogues or become active in the core communal organizations of the Jewish polity. Although they may not be ready for the full set of Jewish communal responsibilities, our research suggests that Birthright alumni are eager to move beyond sightseeing to more active exploration of Jewish life. Borrowing a concept from historian Daniel Boorstin, we propose an alternative model to “tourism” and “citizenship” for engaging young adults. Jewish communal strategy should encourage Birthright alumni and their peers to become “travelers” who take an active role exploring what it means for them to be Jewish in a self-directed process of discovery. Relating to Jewish young adults as travelers means equipping them with the information, resources and support they need to explore Jewish life in their immediate environment. This means, for example, that they will need better information about what young adult events and activities are taking place in their neighborhoods and near their workplaces. Supporting travelers will also mean providing guides for those who need them. In the cities we studied, most of those doing outreach to young Jewish adults come from the Orthodox world. Although these Orthodox outreach workers are often passionate and can be effective with some young adults, in the realm of Jewish engagement one size does not fit all. The time has come for the Conservative, Reform and Reconstructionist movements to make young adult outreach a priority. Most importantly, Jewish communities need to take a fresh look at what they offer for young adults and consider establishing new programs and activities that make young adult exploration more rewarding. The Birthright alumni we studied make clear that they would like to be more involved in Jewish communal activities. They are especially interested in small-scale programs that foster enduring friendships, that enable them to pursue their general interests in a Jewish framework (think Jewish yoga), and that provide intellectual and cultural avenues for exploration of their Jewish identities. They are also drawn to programs that are peer-initiated and have a grassroots feel. They are less interested in programs that encourage quick matchmaking or appear to promote religious observance. The vitality of Jewish life in the United States derives in no small measure from the willingness of Jewish communities to reinvent organizations and practices to adapt to changing circumstances. At the moment, during the critical years for identity formation, career development and often marriage, most Jewish young adults remain largely outside of the community’s institutions. Our best hope to one day bring young adults back inside is to shift our emphasis. Instead of expecting young Jews to immediately take on the responsibilities of Jewish communal citizenship, we must first empower them to embark on their own explorations of Jewish identity, life and community. Fern Chertok, Theodore Sasson and Leonard Saxe are the authors of the new report “Tourists, Travelers and Citizens: Jewish Engagement of Young Adults in Four Centers of North American Jewish Life.” Saxe is director of the Maurice and Marilyn Cohen Center for Modern Jewish Studies at Brandeis University, where Chertok is a research scientist and Sasson is a visiting research professor. This story "Empowerment, Then Citizenship" was written by Fern Chertok. Leonard Saxe is an American social psychologist whose work focuses on sociology of religion, American Jews and the American Jewish Community. 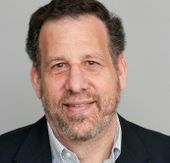 He is currently the director of the Cohen Center for Modern Jewish Studies at Brandeis University.